I’m just curious if this would work on more than one iphone. If we all got the app and signed in under the same user name could anyone add to it and see what others added? Yes! That is exactly how this works. You will all see what others add as long as you are signed in with the same account. If there are two people working on it at the same time, there has to be some sort of page refresh which would be creating a new calf, switching books, or going to another page and coming back. Hope that helps! I’m curious if there is somewhere to record, death loss or vaccines for sickness. There isn’t at the moment but it is planned for a future update that will be coming soon! I hope to use our pprimary email on our computers . 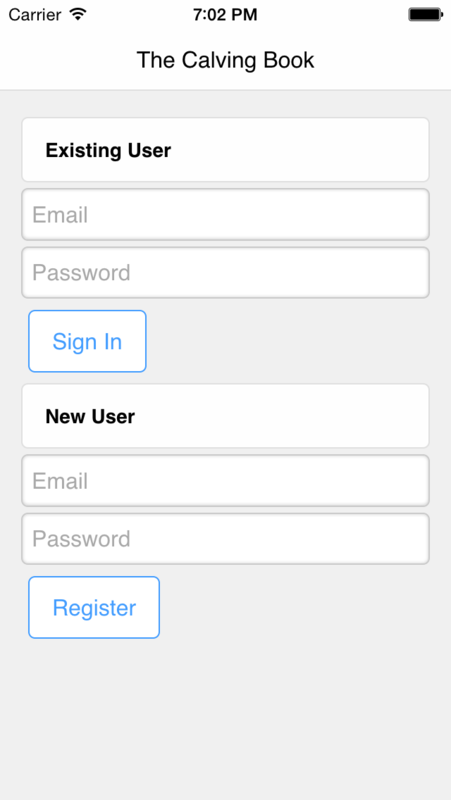 Should I use our gmail address with the app to coordinate and sync information? And is there a way to have cow tag numbers per-entered? You should use the same email you originally registered with. You can enter a cow id like you would regularly do it. Then when it calves, search for it and update the information. Will “steer” be added as a gender option in the future? It will be included in the next update to be released! Can you add a mating date and auto fill calving date predictor for cow and even a calendar page that could show calving dates for the coming year for herd or group ? Something like that is planned. The “delete” calf option doesn’t seem to be working on my app. Also, was a spot added for death loss with the last update? It wasn’t in the last update. It may be included in the next one though. Will there be any way to print a paper copy of all the calves at the end of the season? 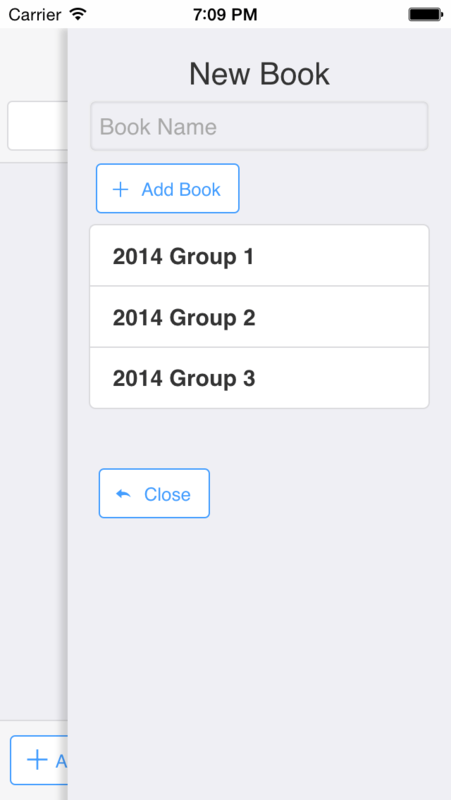 Pretty soon you will be able to email a PDF and Excel file to yourself and from there you can print it. Is there a way to out in a check off list so that when we are out walking thru or heard we can mark off that we saw each and every calf. There currently isn’t a specific check list. What you could do is use the check boxes for dead and pair out in the calf details area. If you check those boxes it will change the color of the record in the main list so as long as you know your system, it shouldn’t be an issue. How do I print it off. If you have the pro or the plus, you can export it and print the PDF or the Excel file. Just started using your app and was wondering if their is a way to search the comments box. That way I could put cull in the comments and when I search cull I would have a list of all the cows I want to cull. Or is there another way to do this? You cannot search the comments box. I would recommend you create a new book and move records to that book as needed. Yes they will transfer! Just use the same username and password as you did before! Right now, you can’t. However, a lot of people have asked about it so it will be added in a future update! I just downloaded your app. I don’t have the ‘add book’ option. Did something go wrong with the download or is that just available on the upgraded app? What app did you download? The lite doesn’t have that option. There is a “Books” button in the menu of the pro and plus. Can you work the pro app off line ? To a small extent you can. You can create calves offline and they will be saved to your phone, then synced to the cloud when you connect to the network. Is there anyway you can make it so the calf id box doesnt autofill? 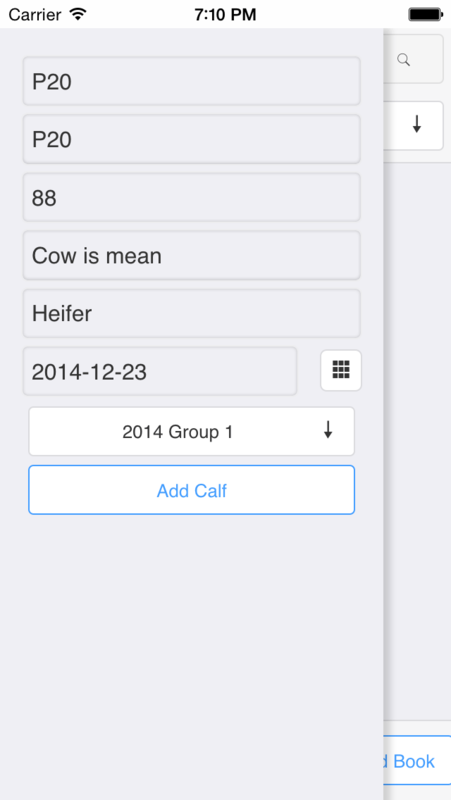 Yes, at the top of the “Add Calf” panel, there is an autofill switch.